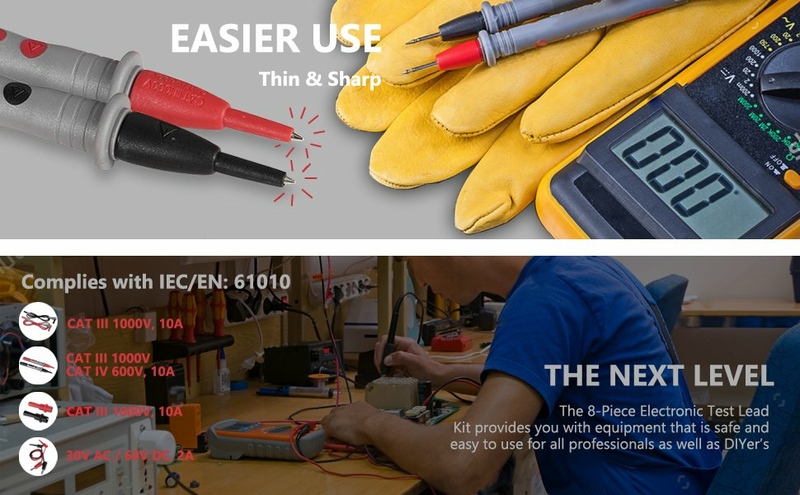 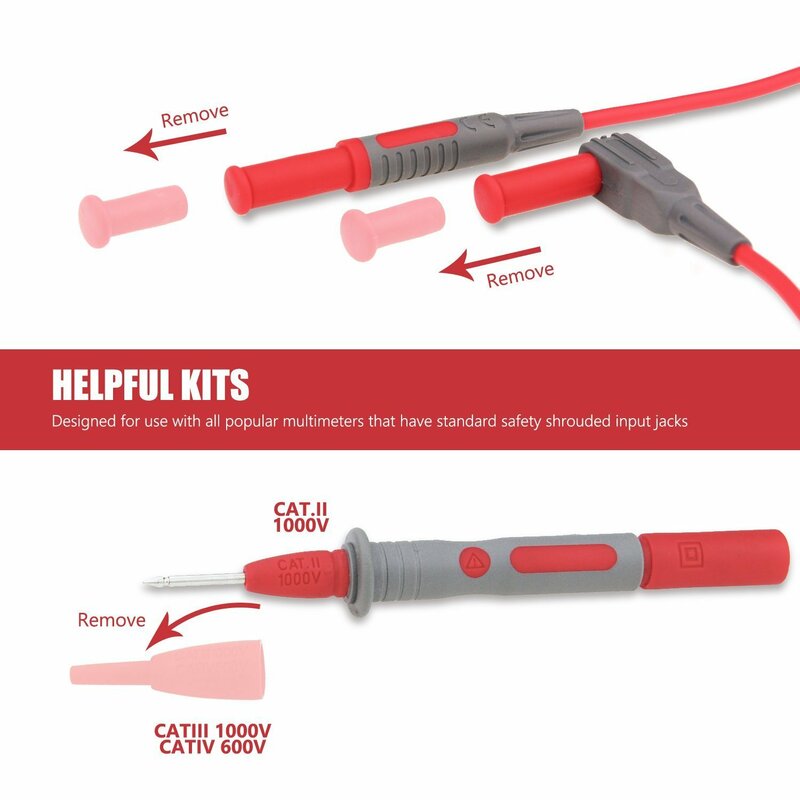 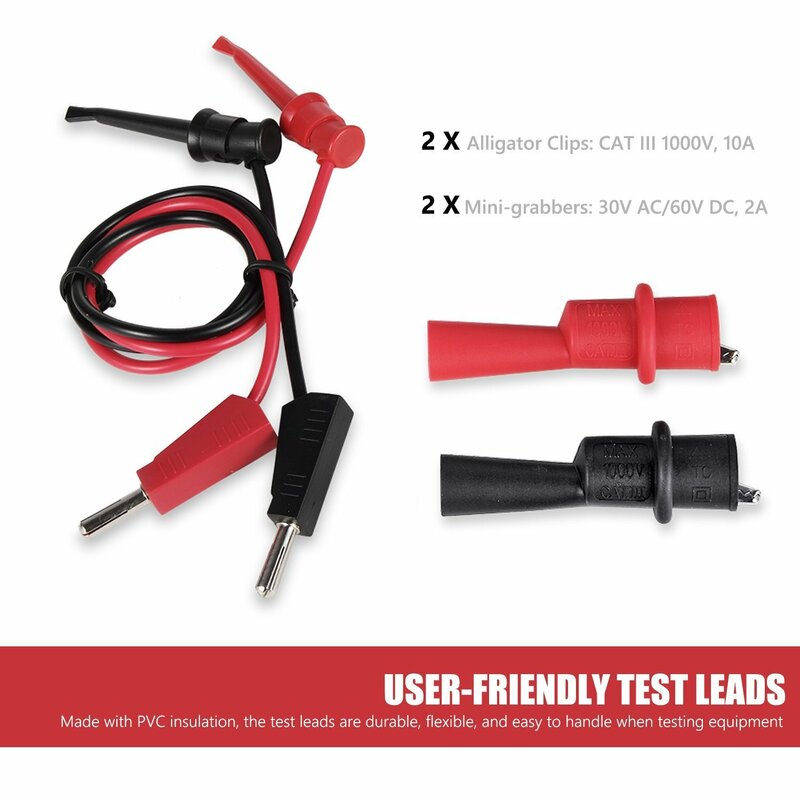 The Next Level The AstroAI Multimeter Electronic Test Lead Kit provides you with equipment that is safe and easy to use for all professionals as well as DIYer's. 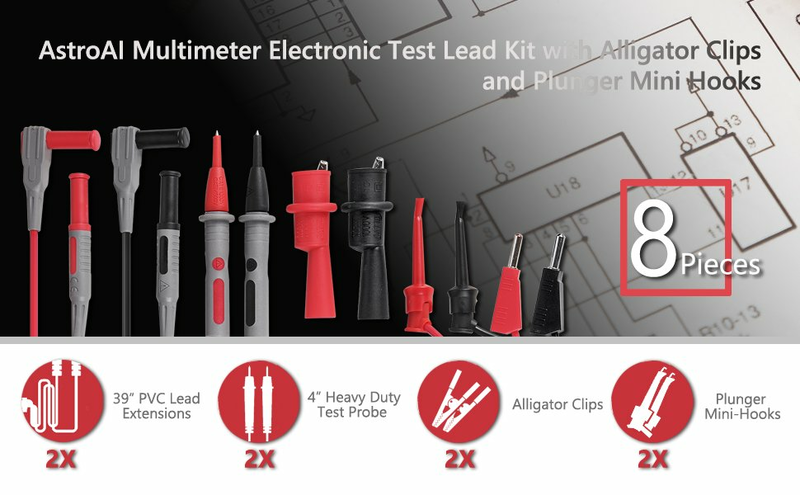 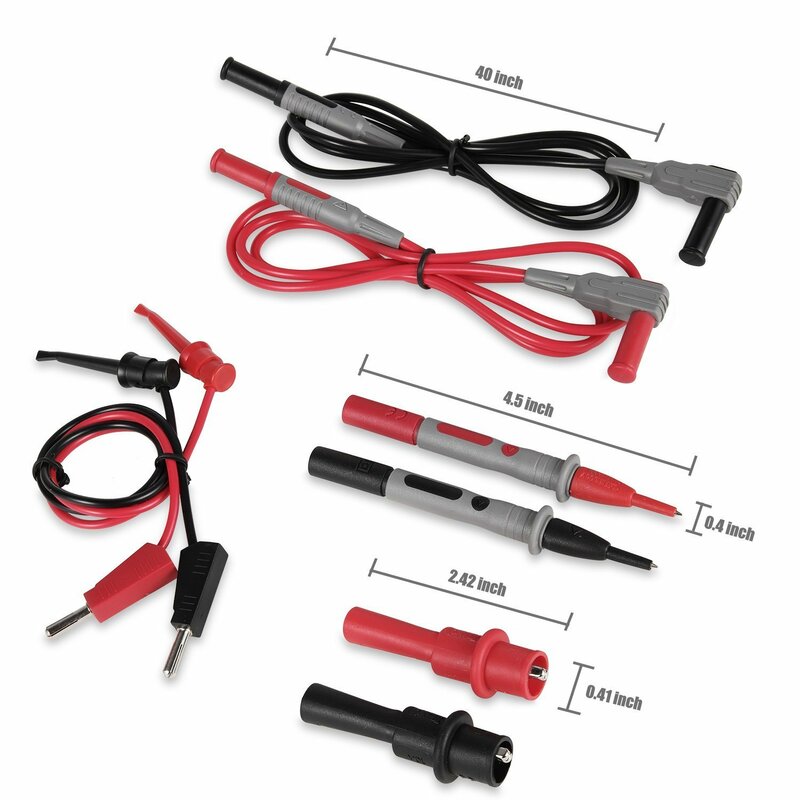 It is a versatile kit that includes all the necessary pieces to get the job done including alligator clips, plunger mini-hooks, test probes, and lead extensions. 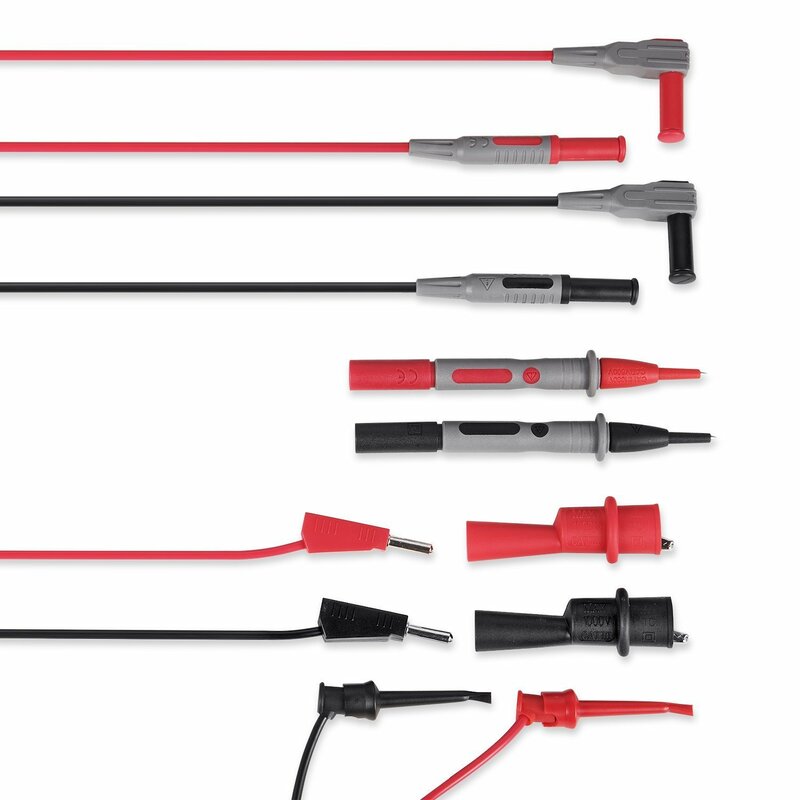 Everything is fit with universally-compatible banana plugs or shrouded banana plugs. 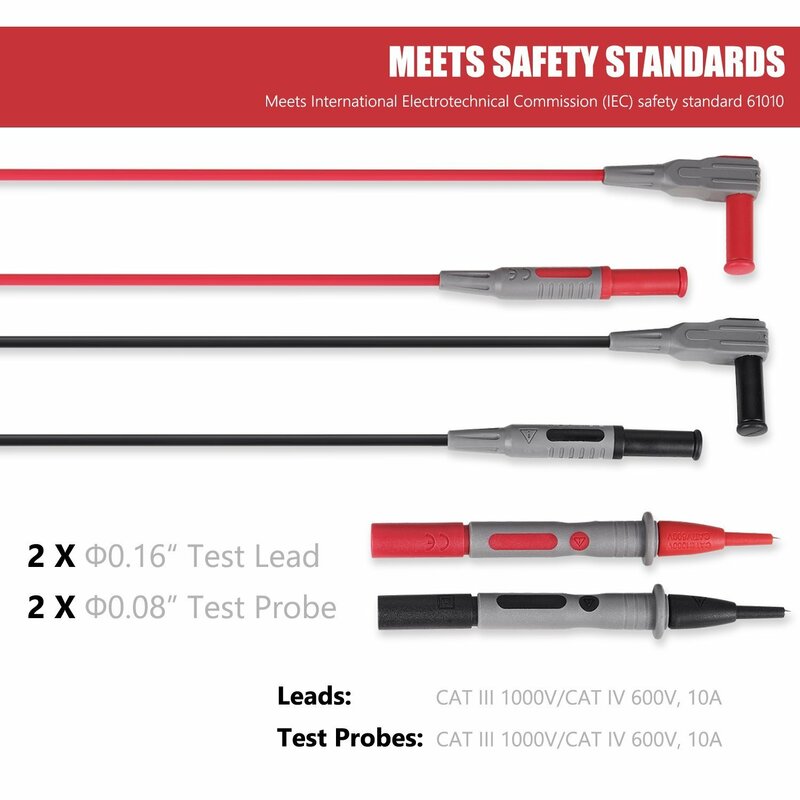 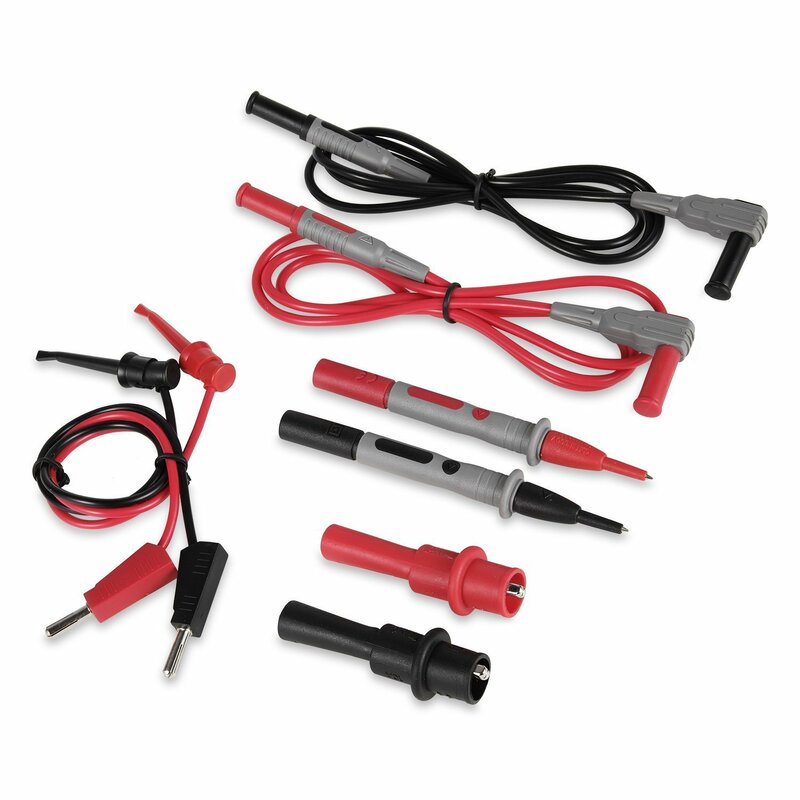 The Alligator clips and probes are rated to a CAT III 1000V, 10A standard for increased safety and a wider range of use.